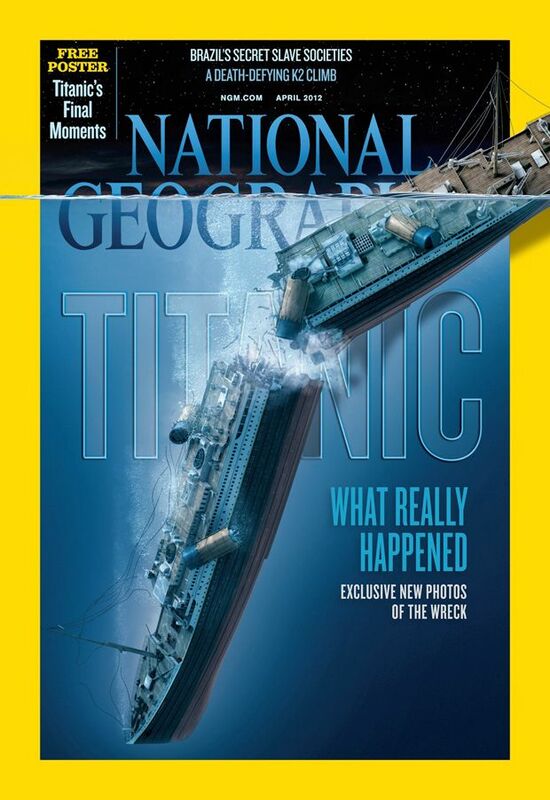 As the 100th anniversary of the sinking of the RMS Titanic approaches, National Geographic Magazine is unveiling, in their April 2012 edition, new photographs that provide a greater understanding of what happened on that fateful day, April 15, 1912. Ethereal views of Titanic's bow (modeled by Stefan Fichtel) offer a comprehensiveness of detail never seen before. 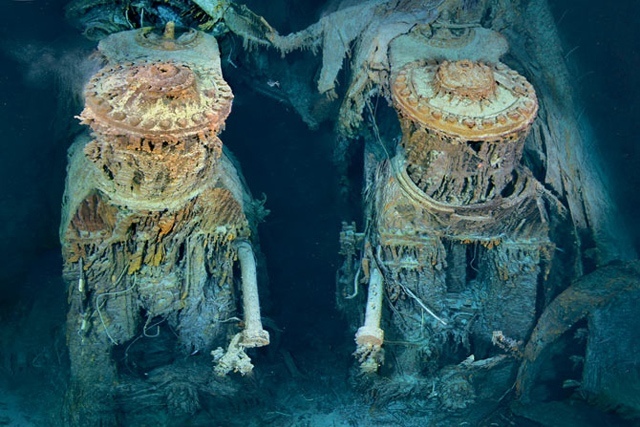 Two of Titanic's engines lie exposed in a gaping cross section of the stern. Draped in "rusticles" - orange stalactites created by iron-eating bacteria - these massive structures, four stories tall, once powered the largest moving man-made object on Earth. 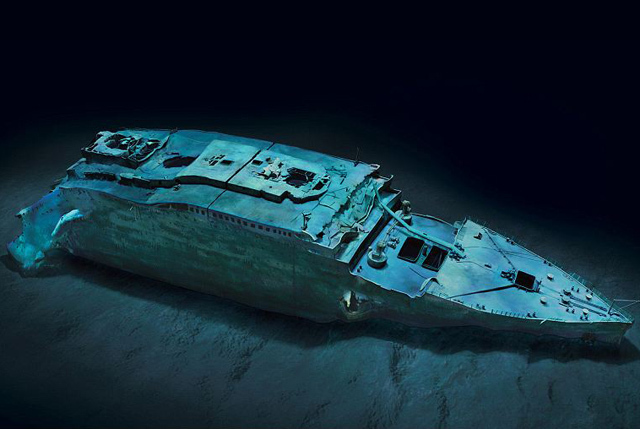 As the starboard profile shows, the Titanic buckled as it plowed nose-first into the seabed, leaving the forward hull buried deep in mud--obscuring, possibly forever, the mortal wounds inflicted by the iceberg.